Do you not have the flattering features? Do you want to make yourself more attractive? Well, you can make up by having a proper hairstyle but you must know shape of your face to find the right style for you. 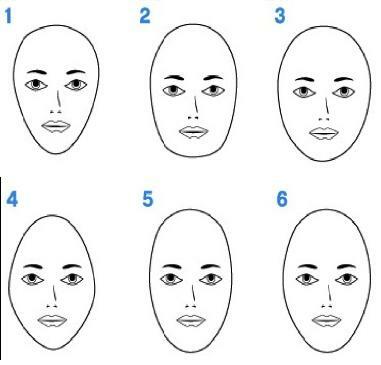 Mostly people do not know how to determine shape of their face but trust me it is not very difficult rather it is as easy as ABC. All you need is to stand in front of mirror and write down all the measurements on a paper. Stand in front of a long mirror and make sure there is enough light on your face. Tie up your hair to clear the forehead. Your first measurement will be of the portion that is just above your cheeks. You will have to start from the outer corner of one eye and then position the measuring tape on the other end of your face. Make sure the measuring tape is on top of the cheekbones. Check the number on tip of the tape and record the measurement. Now time for the forehead measurement and to have the exact size you should place the tape on left border of your forehead. Take your measuring tape in straight line all the way to right border of your forehead. Write down the figure on a paper. Now the trickiest calculation and it is of your jaw line. You will have to place the tip of measuring tape at base of your ear. Now take the strip all the way to middle of your chin and check the number on measuring tape. Double the calculation and record it. Last but not the least, measure the length of your face. Place tip of the tape right at the middle of your hairline and take all the way down to your chin. Read the number and write it on the paper. Now if the length of your face is equal to width then you have a round face. But if it is bit angular then it will be called a square face. If your face is longer than its width then shape of your face will be called oblong. You have a heart-shape face if your jaw line is narrow and your cheekbones or forehead is wide. If your face length is more than width then it is very reasonable and balanced form which is called Oval shape. A diamond shaped face is when somebody has wide cheekbones and his jaw line and forehead are of equal size.